Normally, the middle of June brings Navy Week, the Blue Angels and Navy Band Great Lakes to my region of western Illinois. It's a wonderful warm-up for the NMA reunion. how to pack for a reunion. Packing for the reunion. Well, preparing, anyway. And, yep, gonna check in one bag and carry the other. I've been smashing everything into one bag for a number of years now. An extra bag will make it easier and--jeez, I could probably fit my ukulele in there! 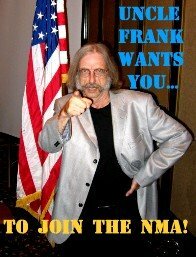 I think I'll hold my final Pre-NMA Reunion Weigh-in tonight. I know I've dipped down below my 1980 E-5 weight, and the suspense is killing me. Stay tuned.